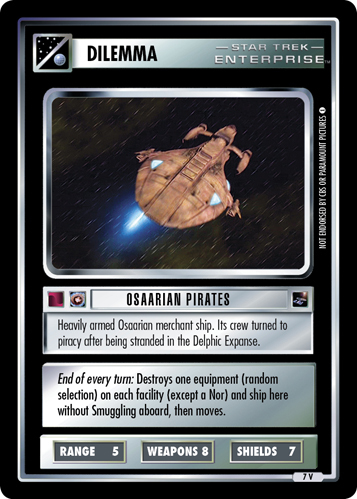 Heavily armed Osaarian merchant ship. 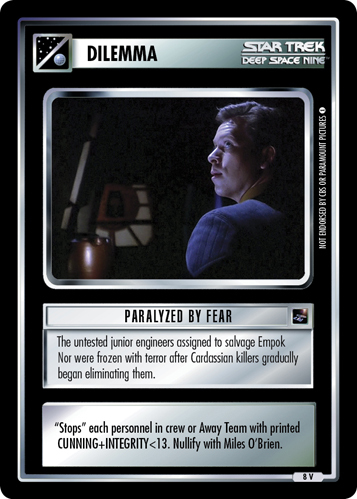 Its crew turned to piracy after being stranded in the Delphic Expanse. 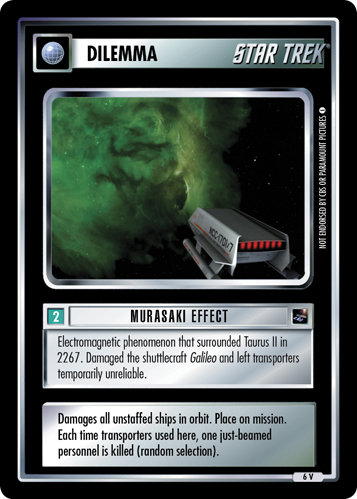 End of every turn: Destroys one equipment (random selection) on each facility (except a Nor) and ship here without Smuggling aboard, then moves.